MARR was formed because we saw a need for a rescue network in Illinois, Indiana, Iowa, Kansas, Kentucky, Missouri, Nebraska, Oklahoma and Wisconsin. To rescue and/or rehabilitate abandoned, homeless or unwanted Rottweilers that are found to have sound temperament by placing them in qualified, suitable and approved foster or permanent homes. 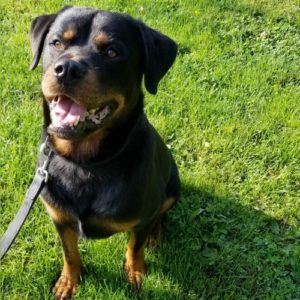 To network with and provide support for existing Rottweiler Rescue groups which follow spay/neuter policies, temperament testing and abide by MARR’s current code of ethics. To educate the general public about the nature of the Rottweiler breed. To educate the general public about rescue programs, responsible dog ownership and the prevention of dog overpopulation. To recruit and encourage individuals throughout our area to engage in rescue activities that support MARR’s Code of Ethics. To otherwise assist the Rottweiler breed by any means consistent with the above stated purposes.